A stroller and car seat combo is long loved by many parents and understandably so, it creates the best baby travel system that gives so much convenience to your daily lifestyle. A stroller and car seat combo is best for those who will be cruising a lot with baby in their car because it saves you the hassle of buying both independently. If, on the other hand, you will be mostly strolling on foot with your baby, a stroller will be sufficient for your purpose (read our review here). ​Coming from the same company that manufactures the multiple award-winning KeyFit 30 Infant Car Seat, it is no surprise that Chicco's Bravo Trio Travel System takes up the top spot in our review. ​With the Chicco Bravo Trio Travel System, you do not need to get another full-sized stroller once baby outgrows the car seat. This 3-in-1 travel system comes with a stroller, car seat and car seat base that adapts to your changing travel needs as baby grows. 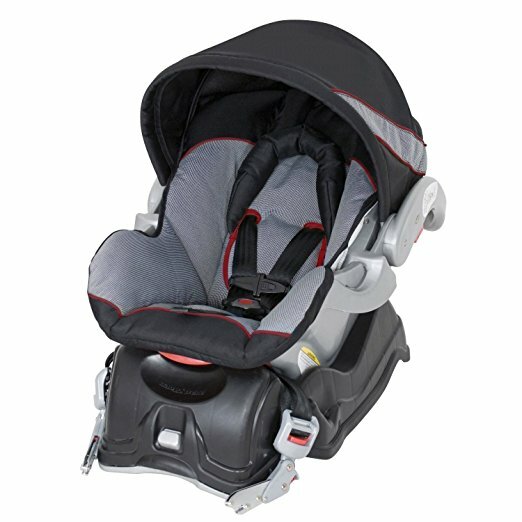 In its first mode for use with young infants, the Bravo seat and canopy can be removed easily to convert into a lightweight frame carrier that exclusively fit the number 1 rated Chicco KeyFit 30 Infant Car Seat. During the transition time when baby still rides in the KeyFit but may also like to sit up and see the world from the stroller, simply use the adapter to click the KeyFit in and out of the stroller seat. When eventually your baby outgrows the KeyFit, the Bravo is a full featured toddlers stroller. What we like about the Bravo is how easy it is to achieve any of the desirable abovementioned combination. Not only that, it is incredibly easy to fold which you can do with just one hand. Once folded, it stands upright on itself for easier loading and unloading. The car seat base is also extremely easy to set up and with just a pull of a latch, you can detach the car seat from its base. The push-handle is adjustable in 3 heights to accommodate to your height - we know how annoying it is to kick your feet against the wheels when you walk! The weight of the Bravo Trio seems to be a concerning factor to some parents. Together, yes it can get slightly heavy to manage but most of the time, the car seat will be detached from the stroller first before it is folded up. We have tested this out and find that there is no problem for both man and woman to load or unload a folded stroller in and out of the car. A quick tip - if you have already gotten a KeyFit beforehand, we recommend getting the Caddy Stroller Frame (another highly raved and well loved item from Chicco) to create your travel system. You can be sure that your KeyFit will have a perfect fit and the good news is, it is much lighter than the Bravo Trio and is much cheaper! 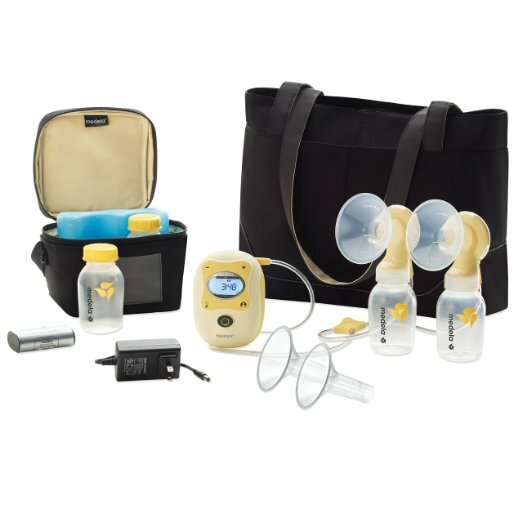 ​However, this is only if you have already bought a KeyFit beforehand because otherwise, buying the KeyFit and base separately will add up to be even more expensive than the Bravo Trio (without even having a stroller seat). 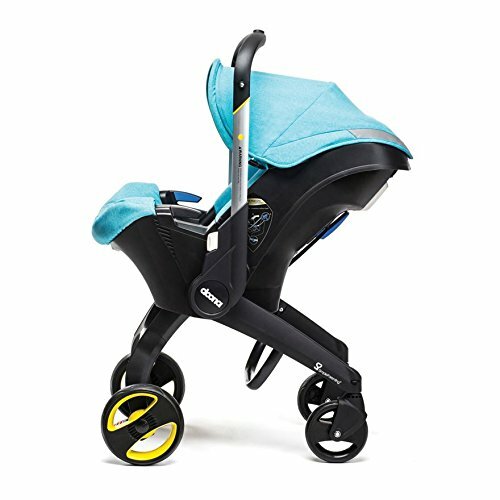 Although the Chicco Bravo Trio Travel System is pricier than a lot of other travel systems, we would say it is rather reasonably priced if compared to the higher end brands offering very similar features (around $1,500). We think it is a worthy investment because if you think about it, you are getting an award-winning car seat, car seat base AND stroller that you can use from infant to toddler (maximum weight of 50 pounds) without having to buy any other extras. 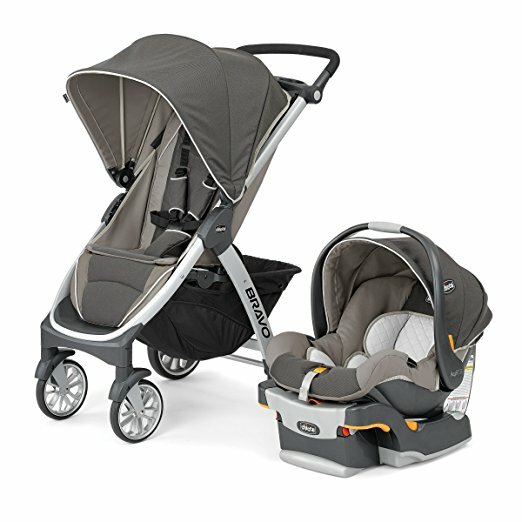 ​For those who are looking for a jogger stroller (click here to read our recommendation) with car seat combo, we recommend the Baby Trend Expedition LX Travel System. 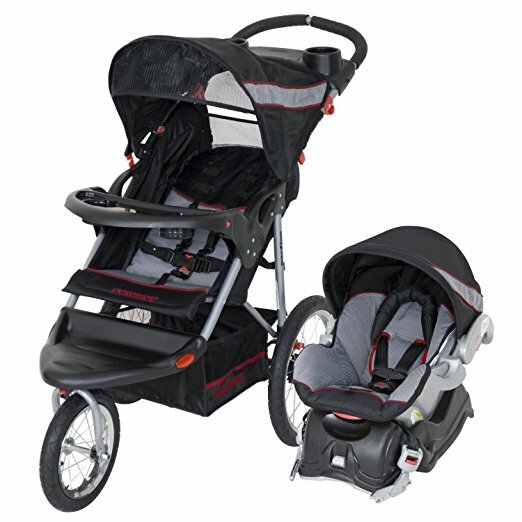 This travel system comes with an Expedition Baby Trend 3 Wheel Jogging Stroller, a Baby Trend Flex Lock 5-30 pound infant car seat and one lock in car base. Similar to the Chicco Bravo Trio Travel System, this stroller can be used from infant to toddler stage without having to buy any extra attachments. The difference is that the Expedition has all-terrain wheels with a lockable front swivel wheel that are made specifically for jogging purpose. This means swivelling is made extremely easy, which is why ​a lot of parents choose to get a jogger stroller even if they will not use it for jogging purposes due to its easy manoeuvrability. 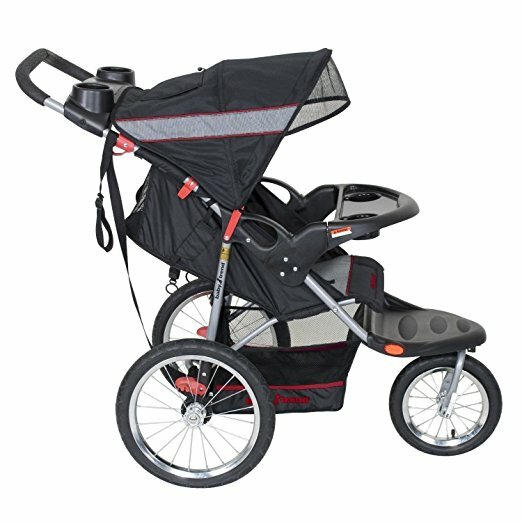 ​For those that are not familiar with the Baby Trend Expedition Jogging Stroller, it has a multi-position reclining padded seat with a fully adjustable 5-point safety harness and tether strap. 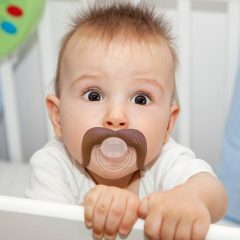 The push handle is extra wide and ergonomically shaped and foam padded for your hands' comfort. It also comes with an adjustable canopy with covered sunroof ratchets to block out sun and wind. ​The Flex Lock Infant Car Seat is easy to remove from the car seat base to allow a quick and easy click in attachment to the stroller. The car seat base is height-adjustable with 4 position which you can easily achieve with a push button. You can use it from the newborn stage up till baby weighs 30 pounds or is 30 inches tall after which s/he will be ready to sit in just the stroller seat only until 50 pounds/42 inches tall. We like how the car seat has a a little head pillow that keeps baby's head from falling to the sides so that you do not need to buy an extra insert for your newborn. 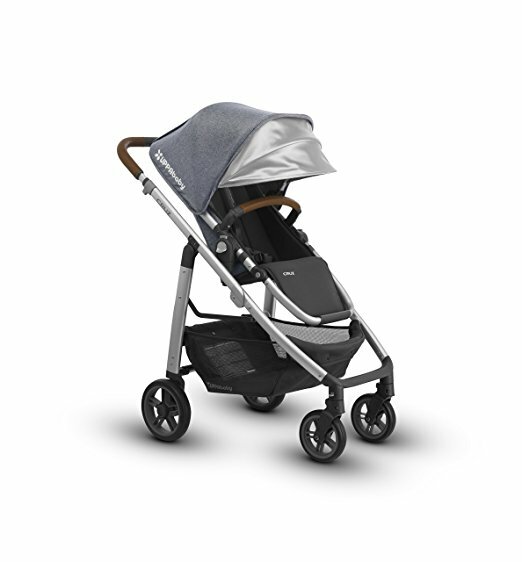 Overall, the Baby Trend Expedition LX Travel System is the best stroller/car seat combo for jogging purposes, or generally just for rough terrains and pathways. 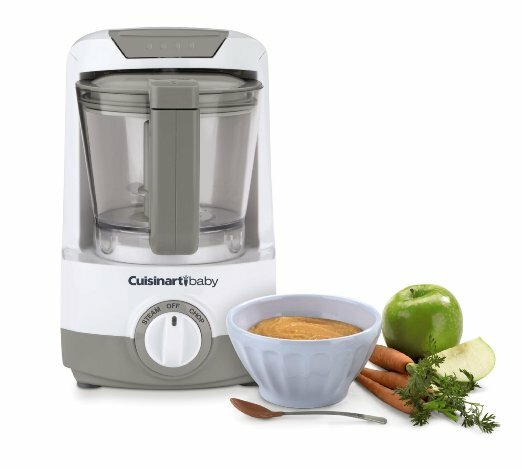 It is of manageable weight and is on the lower price point in this category which makes it an affordable buy for many. A gentle reminder though, when using as a travel system, you should only walk and remain on smooth surfaces; the jogging function is for when your child is older and is in the stroller seat only. If you have double bundles of joy and are looking for the best stroller and car seat combo for twins, the Baby Trend Universal Double Snap-n-Go Stroller Frame is your answer. The primary reason we recommend getting a stroller frame for twins is that you will need to eliminate as much weight as possible with everything you carry because your hands will always be full. The abovementioned stroller/car seat combo with attached stroller seat (Chicco and Expedition LX) may not be suitable because it can get too heavy for moms to manage on their own. You can certainly get a double stroller (which we have an extensive review about here), but most do not accommodate a car seat combo to form a travel system. This is why we recommend getting the Baby Trend Universal Double Snap-N-Go because it is a stroller frame that is made from a combination of metal and plastic which makes it very lightweight at just 18 pounds! As a result, it is extremely easy to open up and fold which you can do with just one hand and its front swivel wheel design and rear wheels parking brake make it an ease to manoeuvre. Despite its lightweight frame, the Universal Double Snap-n-Go is very sturdy that can hold 2 infant car seats and it will not tip over even if you hang your heavy diaper bag over the push handle. The Baby Trend Universal Double Strap-n-Go Stroller Frame is the best lightweight double travel system for parents on the go. 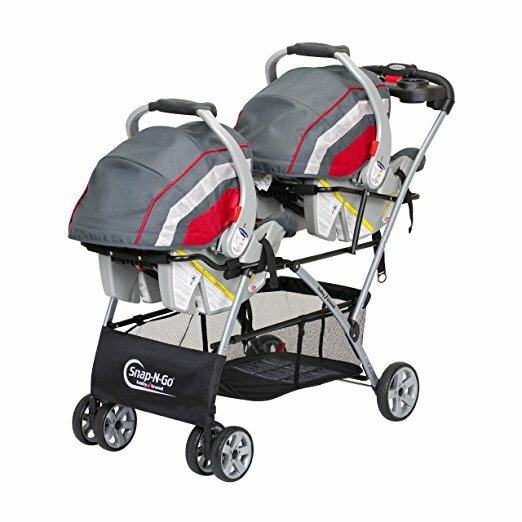 It makes travelling with twins very easy without having to remove them from their car seats to attach to the stroller. It can be used for quite awhile too, until babies are over 40 pounds after which you have to migrate to the double ﻿﻿strollers. ​At such an affordable price, your pocket will not feel the burn of getting a separate double stroller when babies grow bigger. Don't fancy the bulkiness of a stroller seat and car seat combo? Think it's cumbersome to set up a car seat to a stroller frame? 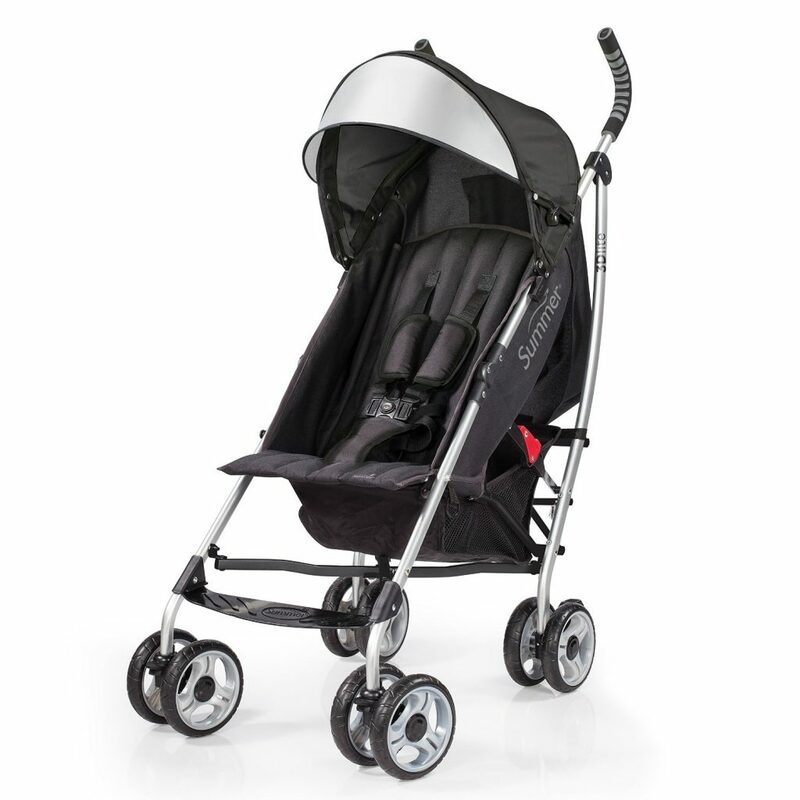 We found the perfect solution for you - the Doona Infant Car Seat Stroller. This stroller ​is both a car seat and stroller on its own without requiring any attaching or detaching work. 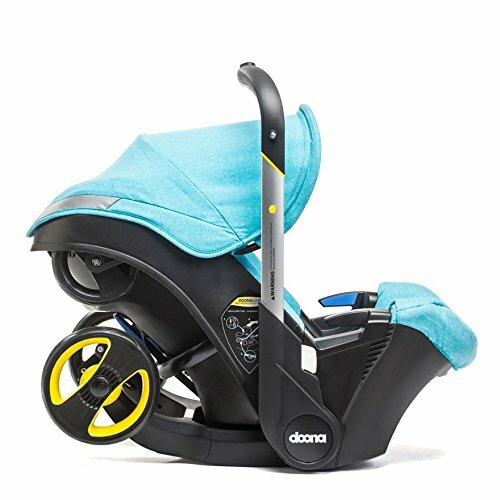 Yes, you read correctly, the Doona has a car seat permanently attached to its stroller counterpart in a design like no other that allows parents to 'use it as it is'. You can say it is the only car seat in the market with integrated wheels. You may think a permanent attachment as such will leave you with a bulky, heavy item but you will be pleasantly surprised to learn that it weighs just 16.8lbs, which is not that much heavier than most other similar brands. In fact, you can say it has the lightest combined weight for a car seat and stroller. This little ride is perfect for infant travel as proven by its TUV and FAA Aircraft Approval certification. Even if you don't use it for travelling abroad, just having it for your daily car rides or taxi-grabbing is a dream as its design helps keep your boots clear and decluttered of travel system parts. Featuring top-notch quality and niche technology, the Doona has a newborn infant insert cushion that allows for a near-flat ergonomic position for your baby's ultimate comfort. With its 5-point safety harness, it is tested and certified as an infant car seat, stroller and reclined cradle ​with fail-safe mechanisms. As good as the Doona is, keep in mind that ​it is limited to 9-12 months usage only as your baby will outgrow the carseat and will need a proper stroller after. Getting a separate carseat and stroller combo will be a better idea in this case but if you really dislike having to attach and remove the car seat each time you travel, the Doona will be the perfect solution for you. ​The UPPAbaby Cruz is an all-time favourite of many parents and the 2017 version now comes with an even sleeker design with leather parts. We think it is best for urban use thanks to the combination of aluminium and magnesium in its manufacturing which makes it optimally lightweight and durable in performance. With or without the seat attached, the UPPAbaby Cruz will fold in one step which makes it easy for storage. The Cruz comes with a toddler seat, rain shield and bug shield and an adjustable canopy with peekaboo extendable SPF 50+ sunshade. However, it does not include a car seat but is compatible with most brands, ​with the MESA Infant Car Seat being a perfect, direct attachment that does not require any adapters. If you are looking to buy just one stroller for the long haul, the UPPAbaby 2017 Cruz is a great choice as it is easy to use and is made of high and durable quality that can certainly last a very long time. 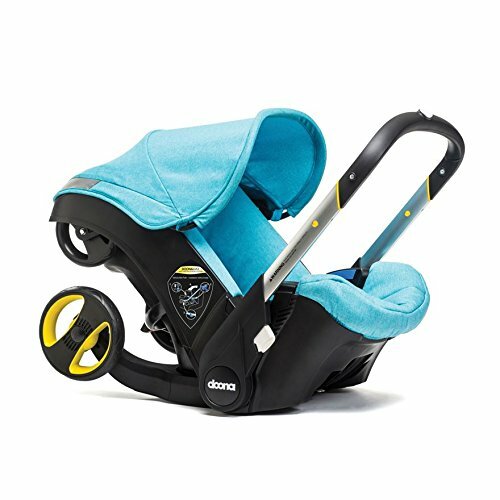 With stroller and car seat combos, ease of attaching is very ﻿important﻿.​ For this, we recommend choosing one that is clickable compare to those that are strapped-on or those that require secondary restraint straps because let's face it, we do not need anymore extra steps to complicate things. Also, with less steps required, the lesser the chance it is to make mistakes. With click-on systems, you have to make sure that the connector area is secure in that it is not loose or that there will be some jiggling sound when the car seat is clicked on. Keep in mind that the good quality ones will not require much pressure when pushed in or clicked on to secure. The Chicco Bravo Trio Travel System is one good example, or you can even consider getting one of these which do not require any attaching or detaching at all. ​The lightest and most space-saving type will definitely be a frame stroller like that of the Chicco Keyfit Caddy or the Baby Trend Universal Double Snap-n-Go Stroller Frame (if you are having twins). 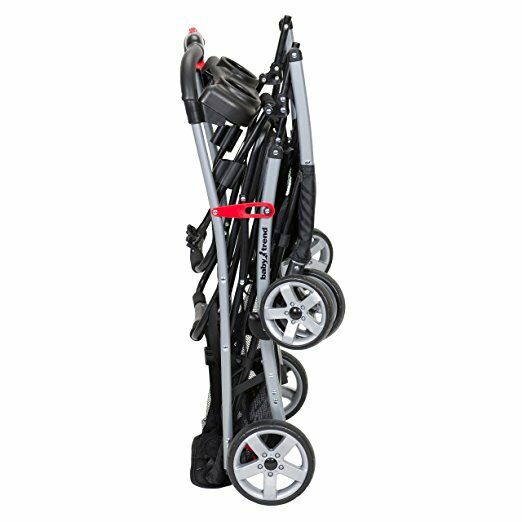 These type of stroller are lightweight, compact and fold easily that will not take up much of your car boot space. 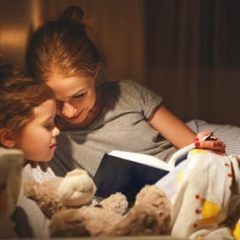 We find that this is the type that most new or first-time moms love because it is so easy to manage. 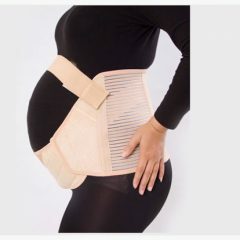 This is especially so for mothers who experience a C-section and are subject to lifting only certain weight limitation. However, the downside is that your baby will outgrow these frames around 9 months given they will outgrow the car seat at around that age by which then they will need to sit in a stroller seat. Since these frames do not come with seats, you will have to retire them and buy another stroller instead. 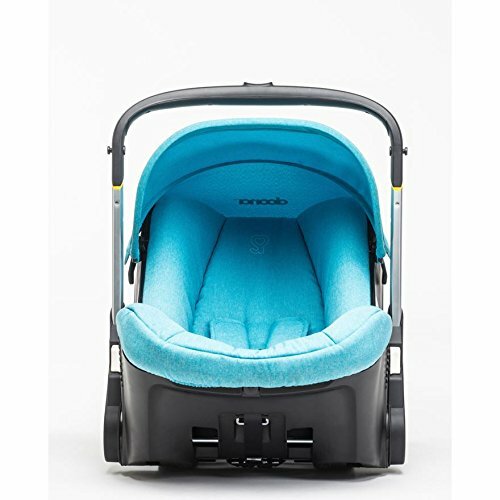 If you do not want to go through this hassle, the Chicco Bravo Travel System is our best recommendation as not only can it be detached into just a frame for the earlier age, it also comes with a seat as well for when baby grows older. 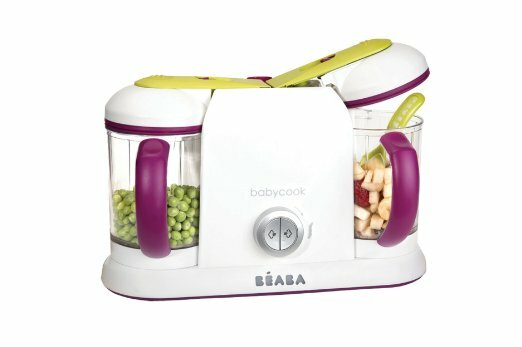 While we acknowledge that manoeuvrability is very important especially in terms of ease of turning, one-hand pushing and overall quick responsiveness, these may not be as eye-glaring as other features as you will mostly be using a car seat/stroller combo during the first 9 - 12 months when baby is still relatively small and light. Unless you got a really bad quality one, which our review here has already eliminate that possibility for you, you will not feel or face any jarring inconveniences that pose such frustration to you. On a general note, those that come with rubber wheels will definitely trump that with plastic wheels when it comes to ease of manoeuvrability. Most frame strollers come with plastic wheels (which is why they are so light compare to others) ​which in our opinion, do not pose much of a disadvantage given that its meant to sustain lighter weight limitation as mentioned above. Nonetheless, if manoeuvrability is your first priority, the Baby Trend Expedition LX Travel System is a good choice given that it has air-filled rubber wheels AND it is a jogger stroller, which we all know, always has the upper hand in terms of ease of pushing thanks to the versatility of its swivelling front wheel. A stroller and car seat combo is long loved by many parents and understandably so, it creates the best baby travel system that gives so much convenience to your daily lifestyle. Compare different brands and find the best deals for this Black Friday/Cyber Monday Grand Sale. Don't miss out! 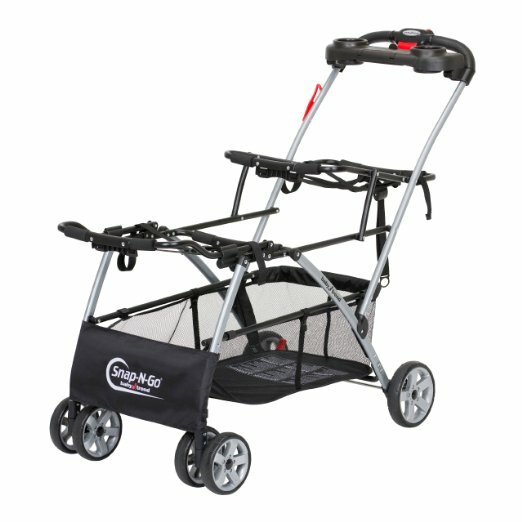 A quick tip - if you have already gotten a KeyFit beforehand, we recommend getting the Caddy Stroller Frame (another highly raved and well loved item from Chicco) to create your travel system. You can be sure that your KeyFit will have a perfect fit and the good news is, it is much lighter than the Bravo Trio and is much cheaper! However, this is only if you have already bought a KeyFit beforehand because otherwise, buying the KeyFit and base separately will add up to be even more expensive than the Bravo Trio (without even having a stroller seat). For those who are looking for a jogger stroller (click here to read our recommendation) with car seat combo, we recommend the Baby Trend Expedition LX Travel System. This travel system comes with an Expedition Baby Trend 3 Wheel Jogging Stroller, a Baby Trend Flex Lock 5-30 pound infant car seat and one lock in car base. For those that are not familiar with the Baby Trend Expedition Jogging Stroller, it has a multi-position reclining padded seat with a fully adjustable 5-point safety harness and tether strap. The push handle is extra wide and ergonomically shaped and foam padded for your hands' comfort. The Flex Lock Infant Car Seat is easy to remove from the car seat base to allow a quick and easy click in attachment to the stroller. The car seat base is height-adjustable with 4 position which you can easily achieve with a push button. You can use it from the newborn stage up till baby weighs 30 pounds or is 30 inches tall after which s/he will be ready to sit in just the stroller seat only until 50 pounds/42 inches tall. The Baby Trend Universal Double Strap-n-Go Stroller Frame is the best lightweight double travel system for parents on the go. It makes travelling with twins very easy without having to remove them from their car seats to attach to the stroller. It can be used for quite awhile too, until babies are over 40 pounds after which you have to migrate to the double ﻿﻿strollers. At such an affordable price, your pocket will not feel the burn of getting a separate double stroller when babies grow bigger.